South Indian food is yummy, healthy, and bursting with flavors. I am a great admirer of south Indian recipes. 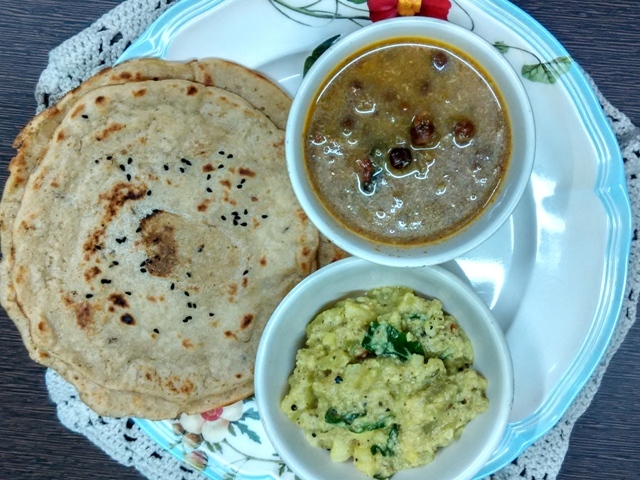 After having met my hubby, I found out my love for south Indian cuisine as well, because he is the one who introduced me to this flavorful cuisine. Instant kadala curry or black gram or black chickpea curry is one of the yummiest south Indian curries with a distinct flavor of fennel blended with roasted coconut. I am sure your mouth is already watering at the mere thought of it. Perhaps if you have never had kadala curry, better give it a try now. If you love south Indian food, give the instant kadala curry a try now. You are surely going to travel in a gourmet haven soon. I tasted this curry in a local Kerala restaurant here. I fell in love with it then and there.I would always wonder how south Indians make food so flavorful and yet so healthy. Then I came across one pot one shot method of Rama Krishnan and Ihaven't looked back thereafter. It's south Inidian cuisine frequently in my culinary lab these days. So let's come back to the OPOS kadala curry recipe. 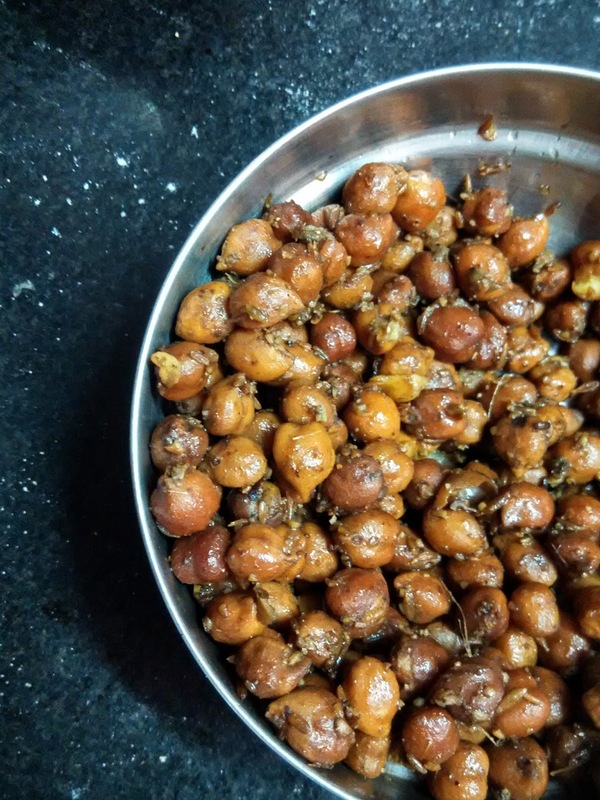 TThe recipe takes inspiration from the illustrious Chithra Vishwanathan, though I have tweaked it a little. Cook on a high flame for 10 whistles. Release pressure and check chickpeas if they are cooked. Add hot water and mix everything. Pour tadka of curry leaves and mustard leaves. 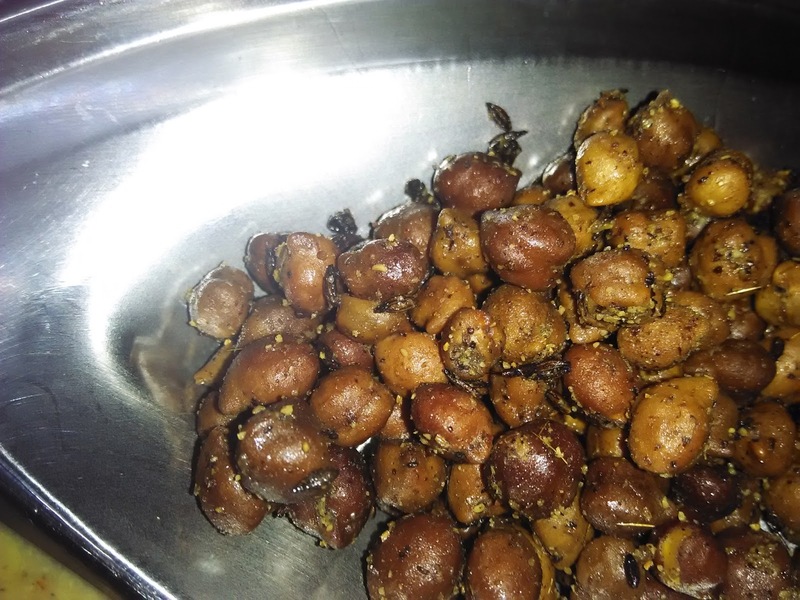 Sukha kala chana or dry black chickpeas is a favorite recipe in my home. Prepared specially after ashtami upwas in navratri, kala chana, without gravy, tastes awesome with halwa and poori (though I am not too fond of pooris). In the morning, boil it with enough water. Add jeera as second layer. Add 1 cup of boiled black chickpeas. Next layer should be of cumin powder (jeera powder), amchur powder (dry mango powder), red chilli powder (if you eat), and kala namak (black salt). Cook for 5 mins or 2 whisltes. Release pressure and mix all.